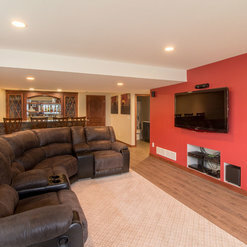 Our project was to transform a completely unfinished basement into a living/entertaining space (complete with a wet bar and full bathroom). We selected Degnan because Abe was the only contractor out of the several we met with who really listened to what we wanted and needed from the space, rather than going with what we assumed we could afford. The issue was a metal support beam in the middle of what would become the living room. We had assumed replacing the post with a beam would be prohibitively costly, and so had tried to design the bar around the beam. Thankfully, Abe recognized that we wanted a warm space for our growing family to live in with a bar attached, not a bar with some living space in the back corner! He came up with a plan to remove the post and stay within our budget. We enjoyed working with the entire team at Degnan. Andrea designed a beautiful space and guided our material selections without choosing them for us, and the end result is stunning! The project manager, Anthony, was always quick to respond to questions we had and offer creative solutions. 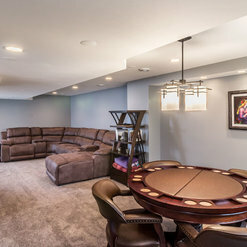 Everyone who came into our home to do work was very respectful of our space and careful to minimize disruption. We are thrilled with the end result and have already received numerous compliments from friends and family who have visited. We will be going straight to Abe and his team again for future projects (we're already making a wish list for our dream kitchen...). We hired Degnan Design-Build-Remodel for an exterior project caused by extensive water damage. They completely redid our front entryway arch/pillars and our bay window using EIFS. They installed a new water/trim board around the entire house. They also installed flashing under our siding (since it wasn't installed during the initial construction of the home (by another builder)). We no longer have to worry about water damage when it rains thanks to the attention to detail of this team. We look forward to working with them on future home projects! 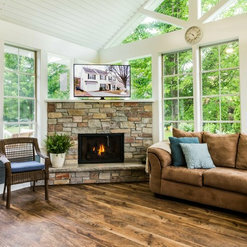 We hired Degnan Design Builders (DDB) in the spring of 2016 to convert a deck and screen porch to a four-season sun room, rebuild the deck, and add enclosed but unheated storage under the combination. 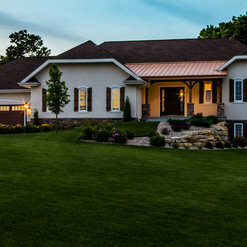 We chose DDB because they built our home in 2003 for the original owners and, after purchasing and living in the home for 6 years, we were pleased with the quality, durability, and style of the construction. We also considered that they would have the original construction drawings available to help plan the remodel. We have now been using the remodeled and added space for over a year. We are extremely pleased with the outcome for the following reasons: Abe and his team listened carefully to our requests and then sought to honor them but were willing to suggest options and alternatives they thought might be helpful; Project Manager Anthony and carpenter PJ were outstanding in their helpfulness, willingness to answer questions, availability, and quality of work; DDB handled the selection of sub contractors, managed their schedules, and stood behind their work; DDB brought the project in on schedule and on budget. 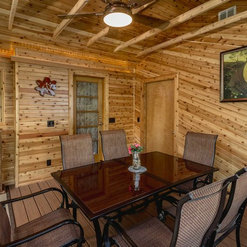 The remodeled space has been excellent to use, matches the original fit and finish of the house, and has exceeded our expectations. 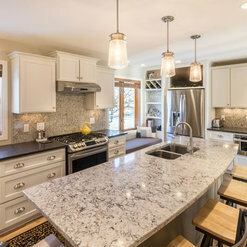 We are very pleased to recommend DDB to other homeowners seeking quality, thoughtful, and competent remodeling or building contractor professionals. Thank you Doug & Carol. We are so pleased to have you as clients and happy that your home is living as you hoped it to! I'm always glad to have confirmation that everything is as great a year later as it was when we completed the job. Abe got to know me & my wife to find out what we were interested in achieving. Then, he gave us options that solved our problems, rather than starting with a solution in mind. They were mindful of our budget and provided more than I expected for our budget. This won't be the last project Degnan Design Builders complete for us. Thanks Stuart! We love that we were able to tailor a solution for the root cause of the changes you wanted to make. We appreciate that you chose us! I contacted Degnan Design to assist with everything from concept to design and installation of an outdoor living space for my home. The monstrosity of a deck was difficult to maintain and didn't have a functional layout for our needs. 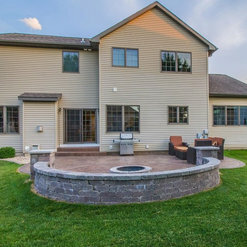 Abe listened to our wish list, took in design ideas from our descriptions and pictures we found online, and was able to meld them all together to design and deliver an amazing outdoor space that looks phenomenal and is incredibly functional for our family. We've spent more time in our new space over the last year than we did on our deck in the previous 10 years! Not only did the final product meet all expectations, but the customer service through the entire process was top notch! Communication was great from the beginning to the end, and his follow-up couldn't have been better. 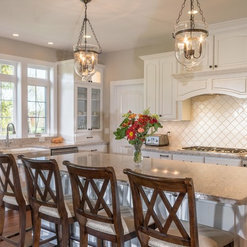 If you're not hiring Degnan Design Builders for your next project, you're missing out! Kent, thank you for your kind words. We are thrilled to hear that you are using this as extenively as you are. It's so important to us not only that the work is done right, but that it serves your family and creates value and usefulness. Thank you for being our client. Sherrill, thanks for the fantasic review. 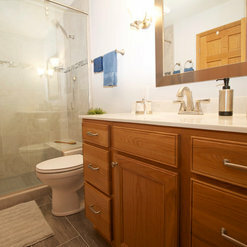 Your bathroom project was so enjoyable, and you and Paul are such cheerful people, we love working with you. 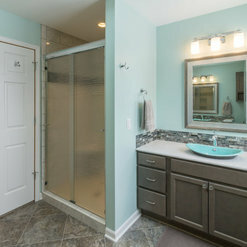 I love the particular angles of the bathroom and the tilework that was done. Thank you for being in our family of clients! the kitchen remodel could not have gone any better. 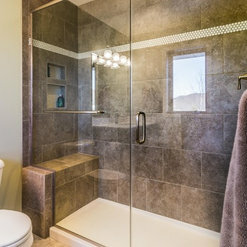 it pays to use a reputable construction company like degnan. and the subs were all great to work with too. Thanks for your review Bruce. We love the backsplash tile and how it ties into the original painting work. Thanks for being one of our favorite repeat clients and for being such a pleasant person to work with. We've known this family for many years and felt comfortable right at the start using Abe for our project. We had no idea how much things would cost for all the projects we wanted to do. After working with a designer we were able to get a clear picture of the best options thanks to her excellent advice. Though the project ended up with many challenges for us and our project manager, they didn't give up and continued to work hard to resolve the issues. Thank you for your honest review. 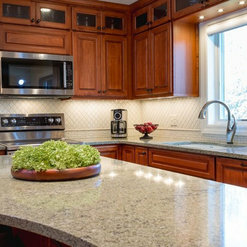 Although it took some diligence to get the replacement piece for the countertop, we are very happy that you are pleased with the final result, and have asked us back for a second job. We look forward to another opportunity to work with you. We at Artisan Design & Finishing really appreciate the professional attitude of all the people who work for Degnan Design. Anthony did a superb job as Project Manager orchestrating all the moving parts. And he played a critical roll in the successful outcome of our huge, concrete kitchen island construction. We feel a strong sense of pride having our products and services included in this high quality construction by Degnan Design. Thanks Jeff. We're proud of the people who work with us, and the work they help to create! 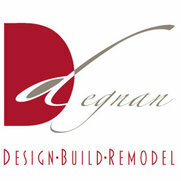 Degnan Design took over our building project (building our actual house) and every day we are thankful for that! The ENTIRE team from the office staff to the project managers to Abe Degnan himself were more than we could have hoped for. They respond to questions in a timely manner, give fair pricing, can relate to you on a personal level and don't talk down to you. They are open and honest about what is happening with your project. Anthony, the project manager came up with some out of the box ideas! He explained everything as it was happening and the reasons behind it. When issues came up, they were quick to respond and work through them. Their subcontractors were always very professionaI and we can't say enough good things about them either. They were super friendly and did amazing work! We also hired Degnan Design for a small remodel in our former house and again we have nothing but good things to say about that project as well. If you are looking for a builder or someone to remodel your existing home, look NO further as this group is TOP NOTCH!! Thank you! We are proud of the work we did for you, and very much appreciate having you as our client. It's only by having great people, like you, as our clients that we can also have satisfied clients when the job is done. Superb quality. Once the team began they kept things moving along, picked up after themselves, were incredibly respectful and most of all the communication was outstanding. Thank you for having us do your beautiful porch. I hope you enjoyed this fall using the grand space, with both your area for sitting and dining. We love the ceiling! Removed countertop and backslash, sink, disposal. Installed new counter, backsplash and sink. Electrical updates including under cabinet lighting and wiring. All planning, coordination, craftsmanship was exceptional. Thanks for the review! It was a pleasure to be part of this update to your lovely home. Commented: Love the chair do you know the manufacturer pleaseHi jsmorrissey, we just received a message from our client that the chairs were purchased from Wayfair. They are 25&quot; Butlerville Bar Stools by Alcott hill. We hope this helps. Thank you! Commented: Color of sidingHi Craigg. It is James Hardie siding and they may have changed up their palette since we built this house. Try Evening Blue! Good luck, thanks for asking.